They stop water better and last longer than any I had been using. 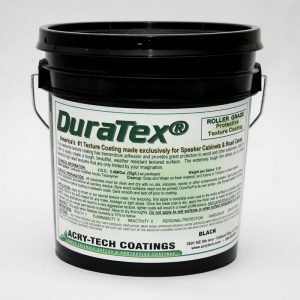 I had been using several different elastomeric coatings in an effort to provide my customers a quality job, and I put down extra millage too so I’d have extra protection. I thought I was doing the best I could until I found your products. They stop water better and last longer than any I had been using. And, I’m saving money with your products, too. I can’t believe how great your product covers, hides and applies. I can’t believe how great your product covers, hides and applies. I used less paint than I thought and the result was fantastic. Our warehouse is now 15 degrees cooler since we applied the SolarX paint to the roof. Our warehouse is now 15 degrees cooler since we applied the SolarX paint to the roof. Our A/C units now cycle throughout the day, where they used to just run continuously and still lose the battle to rising interior temps. The product works great!! Thank you for the excellent service and consultation you provided for our Facilities Improvement Project. The paint you provided is superior to what we have used in the past and we appreciate your service. You’ve given us great products and excellent service and field support, par none! You’ve given us great products and excellent service and field support, par none! Your diligence in manufacturing and service has increased our sales and profits. Thanks for helping us rescue a large source of revenue we were in danger of losing. You helped us show our customer the products they really needed, which we could distribute to them from you. You saved us at least $375,000 in sales that could have been lost this year alone! Your professionalism and ability to communicate with our customers on their level is truly a great asset to your firm. You have a vast knowledge of the challenges and problems that my customers face daily. I’ve NEVER dealt with a paint manufacturer with more knowledge or higher level of service than you supply. 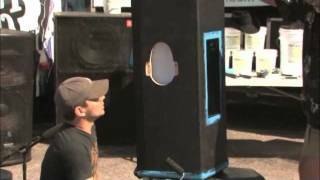 Earth Friendly Non Slip, Speaker Cabinet, Waterproof and Heat Reduction Roof Coatings. 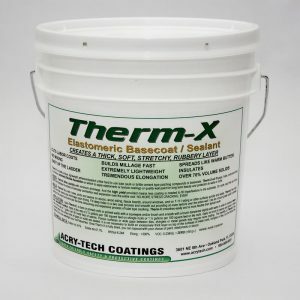 Acry-Tech Coatings manufactures a wide range of unique, earth friendly safety and protective coatings. 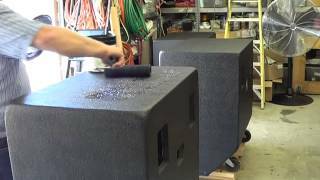 Our Safe Tread and Soft Tread provide a safe footing for floors and decks while our DuraTex® creates a beautiful protective texture for Speaker Cabinets & Road Cases. We have a proven track record as waterproof roof coatings have been protecting roofs for over 30 years. 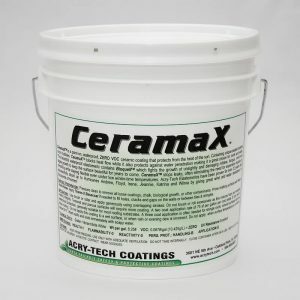 Additionally, our CeramaX coating for roofs reflect and dissipate heat and UV rays which lowers energy costs. Safety is a top priority. The old saying “an ounce of prevention is worth a pound of cure” still holds true today. We’ll help you create Non Skid Floors to prevent slip and fall accidents with our vibrant safety colored anti-slip coatings. We provide an assortment of standard colors to complement any décor or custom match almost any color. 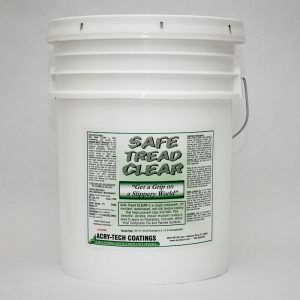 Our Safe-Tread Clear provides safe footing while sealing and protecting your existing beautiful flooring, steps, or decking. Roof replacement is a costly repair. Our waterproofing systems have protected roofs through over 20 hurricanes and Tropical Storms while reducing the heat buildup in attics. We’ll help you protect your investment and cut costs. Our products are very effective at keeping your whole home cooler and your air conditioning working more efficiently. Timely maintenance is much more cost effective than replacement. 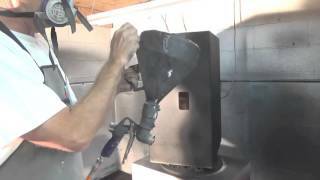 Maintaining your home, office, building or industrial facility is imperative, especially now. Conserving capital through the wise application of maintenance coatings will prolong the life of your property. 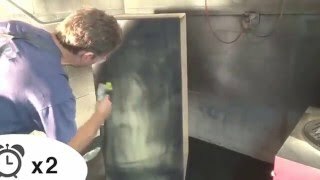 Acry-Tech makes the unique coatings and paints you need. Additionally, most of our products are low VOC (Volatile Organic Compounds). You’ll be safe while using our products and also know that they will not harm the environment. You can even call us for special tips when you’re applying our products. Whether you are a professional or a Do-It-Yourself-er, we want to ensure that every customer has a pleasant experience using our products. We’re here to help so you’re not alone.